Home / Student Questions / How do I make my essay stand out? Besides containing informative and authoritative content, essays also have to look good in order to stand out. In general, this means using a standard typeface such as Times New Roman or Arial with one-inch margins all around. In addition, you should carefully proofread your essay to ensure that it does not contain any spelling or grammatical errors, that all material is properly cited and attributed following the required citation style and that transitions are included between sections. Appropriate tabular information and graphic elements can also help your essay stand out by illustrating the concepts that are being discussed. For example, if your essay is about intergenerational differences, you could include a table that describes the various characteristics of Generation X and Y versus the baby boomer generation. Similarly, including a relevant figure concerning respective trends in these generational cohorts would help you essay stand out. If you decide to use an existing graphic, be certain to include the source. 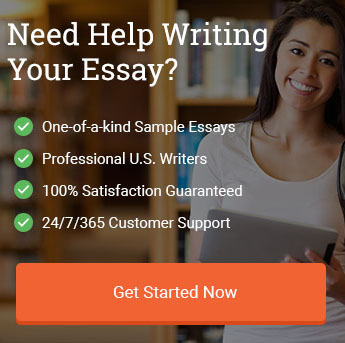 Finally, if you need help in creating an essay that stand out, you can rely on reputable essay writing companies to provide you with a custom essay that you can use as a model in developing your own final masterpiece. "How do I make my essay stand out?." Aceyourpaper.com. Student Network Resources Inc, 25 January. 2017. Web. 19 April 2019. Student Network Resources Inc. "How do I make my essay stand out?." Aceyourpaper.com. https://www.aceyourpaper.com/student-questions/how-do-i-make-my-essay-stand-out/ (accessed April 19, 2019).